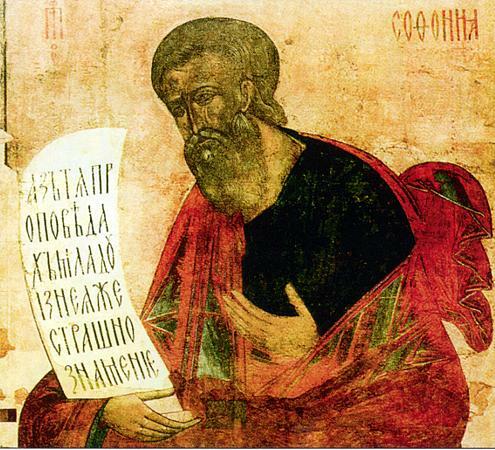 The Prophet Sophonias (or Zephaniah) was a contemporary of the Prophet Jeremiah and the Prophetess Oldama. He was of illustrious lineage [from the tribe of Simeon, and was the 9th of the Twelve Minor Prophets of the Old Testament]. The prophet lived at the royal court, where he preached repentance and helped king Josiah extirpate idol-worship.